Dr Ciccocioppo graduated from Flinders University Medical School in 2003 after previously completing a Science degree from Adelaide University with a double major in Physiology and Pharmacology. Fellowship in General Surgery was obtained in 2012 after which he undertook post-fellowship training in Colorectal Surgery at the Lyell McEwin Hospital during 2012. After spending 2013 and 2014 as a Rural General Surgeon on the Eyre Peninsula, Dr Ciccocioppo returned to Adelaide where he joined his Colorectal Surgery associate, Dr Nick Rieger, in private practice. Dr Ciccocioppo’s practice encompasses all aspects of Colorectal surgery including open and laparoscopic bowel resection, treatment of anorectal disorders, advanced laparoscopic hernia repair. He is accredited with the Conjoint Committee (Gastrointestinal Society of Australia) for Endoscopy and Colonoscopy. Further to this, Dr Ciccocioppo maintains a broad general surgery case mix offering cholecystectomy, appendicectomy, carpal tunnel/trigger finger release, vasectomy, infusaport insertion, simple excisions and lymph node biopsy. Dr Ciccocioppo is a member of the Operating Theatre Sub-Committee at Calvary North Adelaide Hospital. 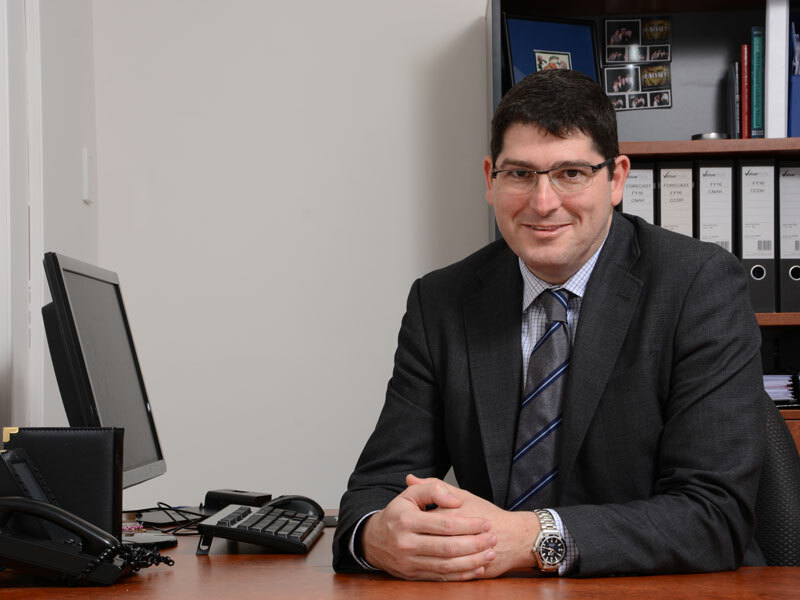 Dr Ciccocioppo operates at Calvary North Adelaide Hospital, Calvary Wakefield Hospital, Burnside War Memorial Hospital, Western Community Hospital and Northern Endoscopy Centre. Dr Ciccocioppo consults at Dechert House in St Peters (Main Rooms), Western Hospital, North Haven, Hope Valley and Northern Endoscopy Centre- Salisbury South. Dr Nick Rieger graduated in Medicine at the University of Adelaide in 1987. He obtained his General Surgical Fellowship in 1995. One year was spent in the UK (1993) at the Royal United Hospital in Bath. After his fellowship he completed a Master’s Degree in Surgery (Adelaide, 1998). His thesis was titled: Pelvic floor injury after childbirth. Dr Rieger then spent 2 years interstate (Melbourne and Brisbane) specialising in colorectal surgery as part of the Australian and New Zealand Training Program in Colorectal Surgery (CSSANZ). In addition he has obtained a Graduate Diploma in Mathematics (statistics) from Swinburne University, Melbourne in 1999. Dr Rieger returned to Adelaide in 1999 to take up specialist practice. Dr Rieger has held the position of a Senior Lecturer in Surgery at the University of Adelaide, between 1999 and 2004 and Associate Professor in Surgery between 2004 and 2015. He has been a consultant surgeon at The Queen Elizabeth Hospital and The Royal Adelaide Hospital, South Australia. Dr Rieger is currently a Visiting Surgeon at The Women’s and Children’s Hospital, Adelaide, South Australia. Dr Rieger is an experienced general, colorectal and laparoscopic surgeon. He is accredited in colonoscopy and endoscopy by the Cojoint Committee (Gastroenterological Society Australia). Nick has published widely and given numerous scientific talks nationally and internationally. 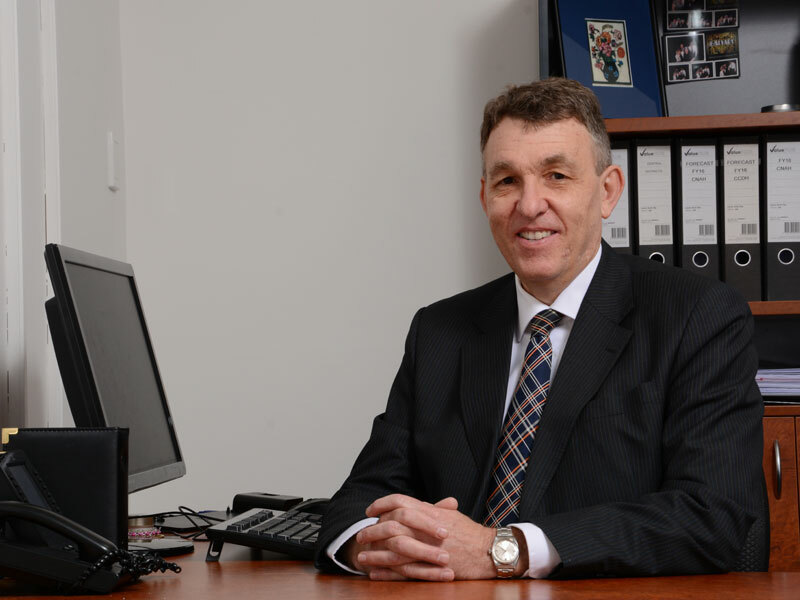 Dr Rieger is the Chairman of the Credentialing and Medical Committee at the Calvary Hospital North Adelaide. Dr Rieger consults at St. Peters, Western Community Hospital, North Haven and the Northern Endoscopy Centre. Dr Rieger operates at Calvary Hospital North Adelaide, Calvary Wakefield Hospital and the Western Community Hospital. Endoscopy and colonoscopy procedures are available at Calvary Hospital North Adelaide, Calvary Wakefield Hospital, the Northern Endoscopy Centre and the Western Community Hospital.